The art at the turn of the twentieth century was still dominated by genres such as portrait, landscape painting and still life, however, due to artists’ new vision of the world and their new understanding of art and its mission they underwent significant changes. Ladislav Mednyánszky, one of the most reputable landscape artists of his era, brought the type of landscape painting in the manner of lyrical realism to a level of absolute mastery. On the one hand, he was fascinated by the grandness and power of natural forces, on the other hand he felt deep compassion for suffering, which led him to create exceptionally rich, expressive figures, what was more or less unique in Slovak fine art. Dominik Skutezky depicted subjects from everyday life of burgers. 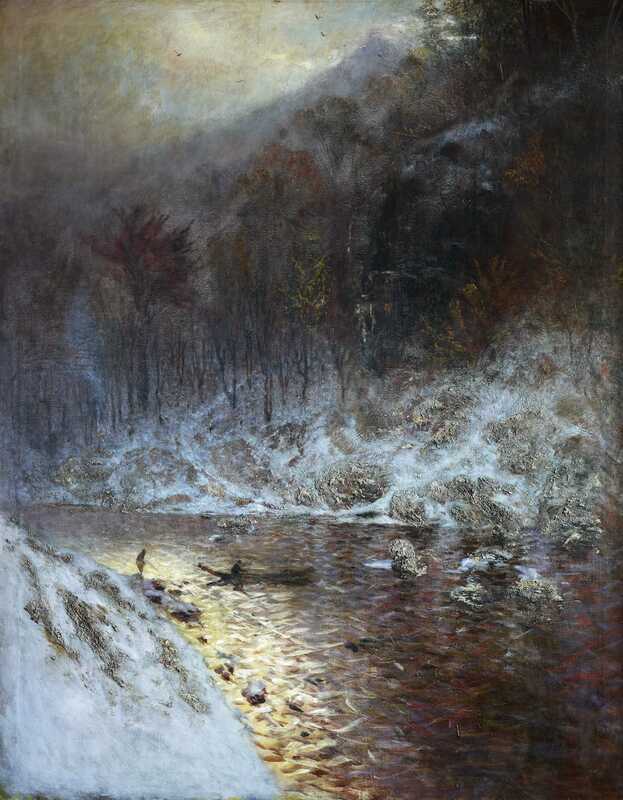 It was in the environs of the town of Banská Bystrica that he discovered his life-long theme: work in copper smelters, which inspired him to capture brand new subjects with an epic and expressive power not found before, thus introducing a new subject in genre art in the wider region around us. Peter Július Kern is our foremost representative of symbolist painting. 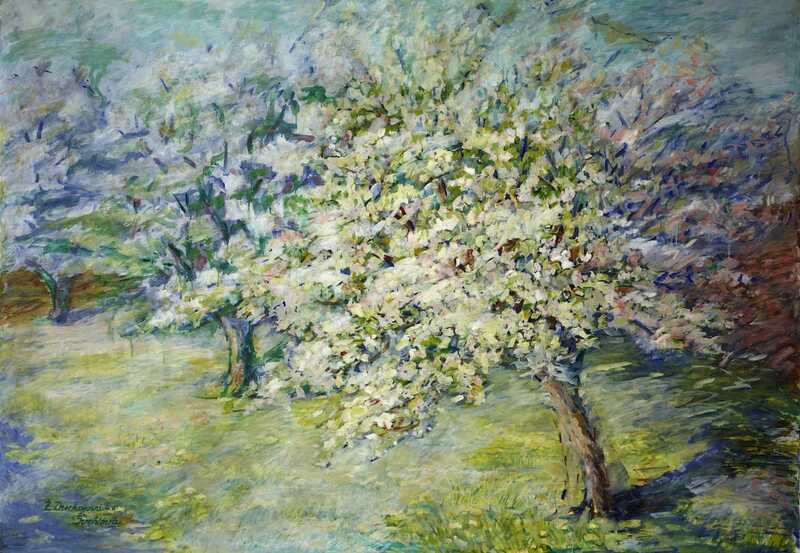 The pre-war work of Anton Jaszusch, on the contrary, introduced the latest trends of post-impressionism in painting. 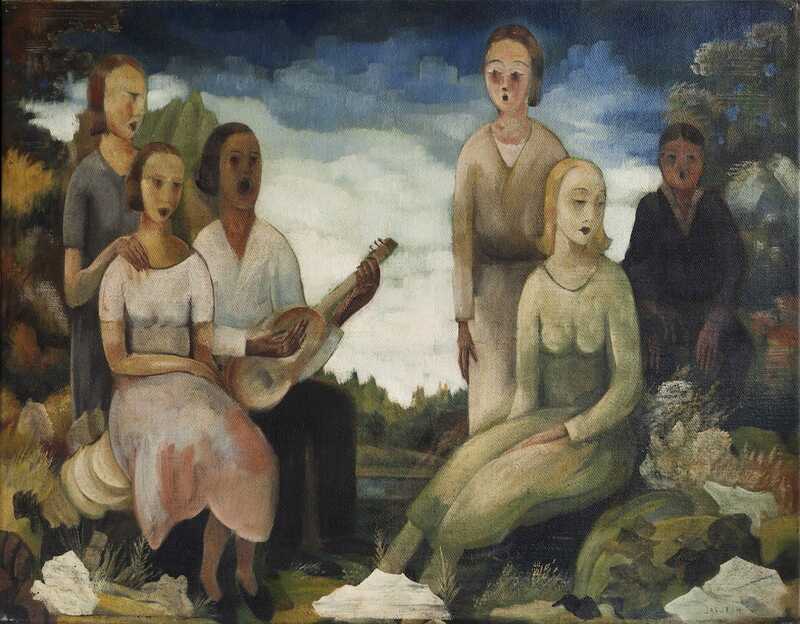 Thanks to these artists and their work, the phenomenon of Slovak modern fine art was able to develop in later periods. Artists on display: Dominik Skutezky, Ladislav Mednyánszky, Peter Július Kern, Anton Jaszusch, Želmira Duchajová-Švehlová, Edmund Gwerk, Zoltán Palugyay.